The quote above really sums up my philosophy both as a parent and as a speech pathologist. Children learn through play. Children learn through daily experiences and routines. They learn from their parents, their siblings, from teachers and from strangers. 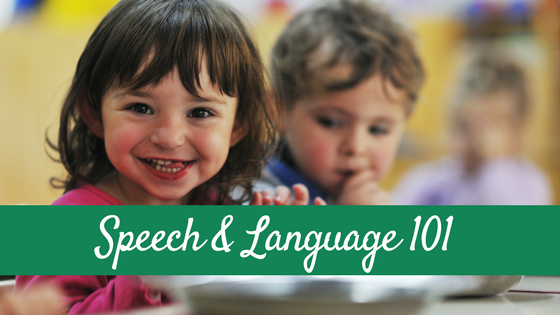 This is how they learn new words and how to use language and how to communicate. Your child is learning words through play 365 days a year…playing with words 365. What exactly is playing with words 365? At PWW365, we believe in getting back to basics. Toss the flash cards and those terrible loud, obnoxious “learning” toys. We believe that children learn best during play and when having fun. We also firmly believe that if children are not learning the way we are teaching, that we should teach the way in which they learn. We believe in child centered learning and in respecting and following the child’s lead. PWW365 had been my long time dream: a place bringing together parents and professionals in the name of speech and language development. 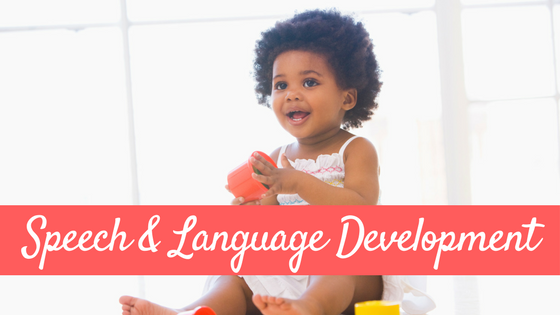 The blog was started as a resource for both parents and professionals who work with children birth to 5 to provide information on speech and language development as well as intervention strategies and activity ideas that can be used to help promote and expand young children’s communication skills. 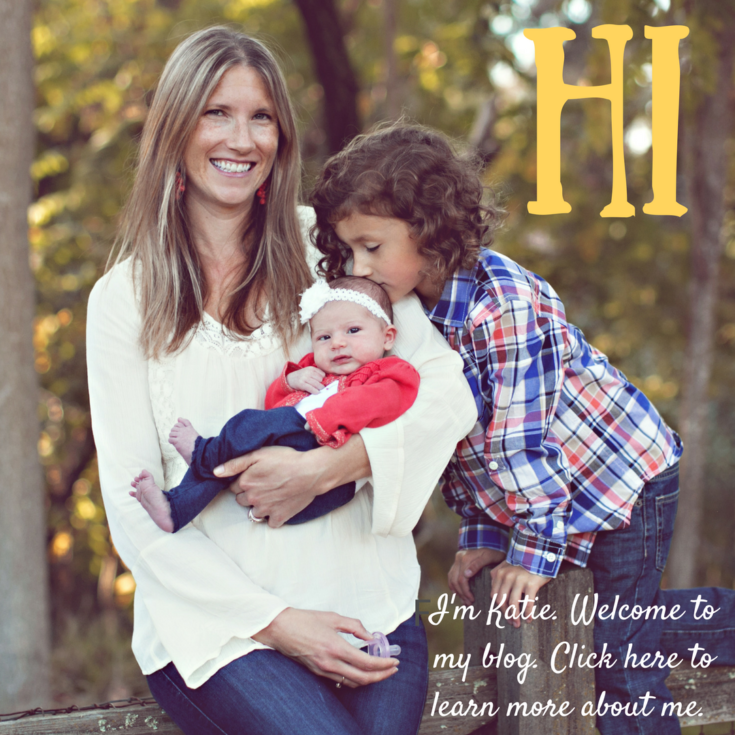 Over time, I’ve broadened this scope to post on other topics- and as we move forward in 2017 I plan on more posts focusing on parenting, tricky behaviors in kids, and childhood anxiety and chronic illness. 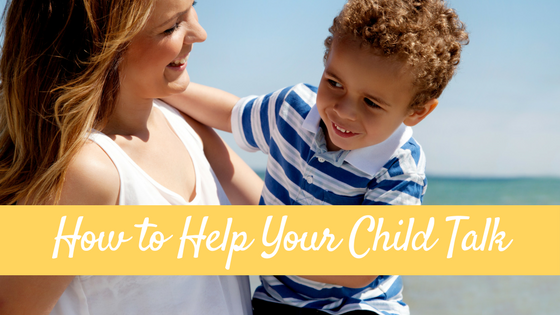 Strategies for parents on how to help their child talk, listen, and communicate including how to speak to your child and how to set up your environment for the best language learning outcomes. 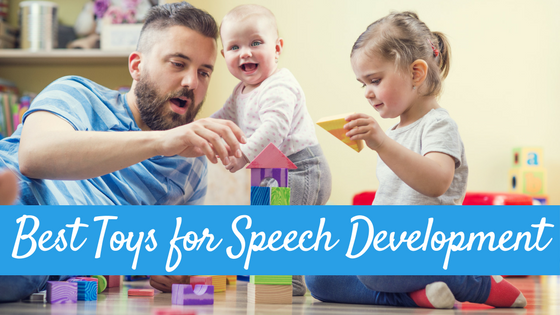 Fun, engaging learning activities for use in the birth to 5 population, with tips on how to use the activities to facilitate speech and language learning. Free printable learning games and books for parents and professionals working with young children. 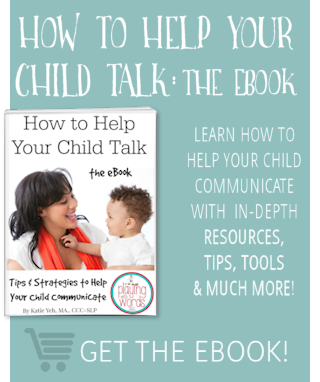 Insights on parenting in general: Though I am a speech pathologist, I am firstly a mom and more and more I think of something that fellow parents may find useful that is not all about speech and language. I LOVE my job, but I also love being a mom and I like to share a little bit of that side of me with you all. Reviews and giveaways: This blog is not (and was never intended to be) a “review and giveaway” blog, however I have done a handful of both over the years. I mean, who doesn’t love free stuff? 😉 Plus, when I find something I love, I do like to spread the word! The newest and up to date info on the latest apps and technology. Believe me, technology and the iPad can have a time and a place in speech therapy. For example, remember earlier when I said if they aren’t learning the way teach them we need to teach the way they learn? There are some excellent apps out there for the right child and the right goals. But there are plenty of other blogs who do a GREAT job of covering these, like Speech Room News, Crazy Speech World, Speech Time Fun, Moms With Apps, and Speech Techie. Apps just aren’t my thing.